There are good things (thank you Martha Stewart) and favorite things (thank you Maria von Trapp), but no matter what you call them, we’ve got them. 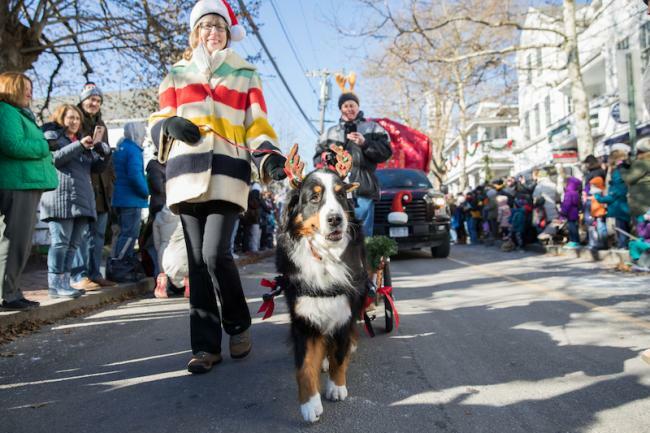 Last weekend’s parade and all of the Christmas in Edgartown festivities were only the start of a list of reasons why December is a wonderful time on the Vineyard. This weekend, the Chilmark Holiday Flea Market and the Vineyard Artisans Annual Holiday Festival, along with the Vineyard Holiday Gift Shop, Featherstone’s Holiday Gift Show and the West Tisbury (fall) Farmers’ Market, top our list of favorite shopping destinations. There are art openings and art classes, opera at the Film center, book sales all over the place, and musical events of all kinds. 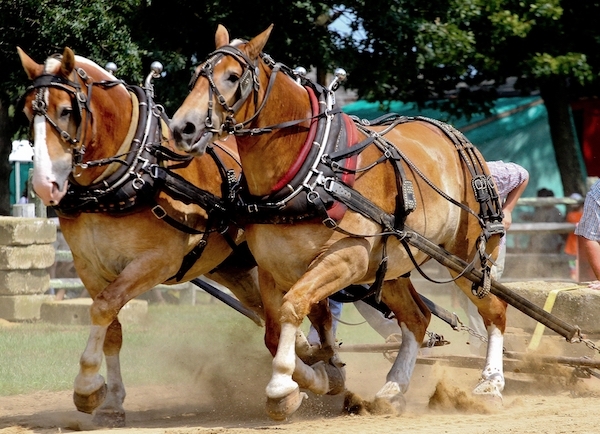 Holiday hayrides return this weekend to Vineyard Haven, Santa arrives at the Black Dog on Sunday, and there are plenty of other activities to keep the kids occupied. And that’s definitely a good thing. Start the day with a visit to Island Alpaca (open house, 10 a.m. to 4 p.m.). Then head up-Island to check out the book sale at Chilmark Library (10:30 a.m. to 5 p.m.). All hardcovers, audios, and DVDs are $1 each. Or head down-Island to the Big Book Giveaway at Edgartown Library (10 a.m. to 5 p.m.). Over in Vineyard Haven, Tom Dresser is giving a talk about Wampanoag history on the Island at the Tisbury Senior Center at 1:30 p.m. The West Tisbury holiday party is on at the Ag Hall from 5 p.m. to 7 p.m. Bring a dish to share. Tonight’s a great night to see a movie. Green Book, just released and already nominated for five Golden Globes, plays at the Film Center at 7:30 p.m. Bohemian Rhapsody, also a Golden Globe nominee, plays at the Capawock at 7 p.m.
There’s live music at the Ritz at 7 p.m and 10 p.m., a DJ at the Cardboard Box at 10 p.m., and Gold Pin Bowling at 9 p.m. for those who’d rather bowl than dance. Make your rounds of the holiday markets this morning, or make your own art — Featherstone has two classes that let you make your own holiday ornaments. Over at Morrice Florist, you can join workshops at either noon or 2 p.m on making holiday table arrangements. The Met Opera Live today is La Traviata. It plays at the film center at 12:55 p.m. If you’re looking for great kids’ activities today, you’ve got options. You can head to the Oak Bluffs library at 11 a.m. to make gingerbread houses or to the Aquinnah library to make Rudolf ornaments at 11 a.m. This afternoon, the new animated Dr. Seuss’ The Grinch is playing at the Capawock at 4 p.m. and at Edgartown Cinema at 1:30 and 4:30 p.m. The Nutcracker and the Four Realms is also playing at the Edgartown Cinema today at 4:30 p.m.
For adults, Green Book is on screen again tonight at the film center at 7:30 p.m. And Bohemian Rhapsody plays again at the Capawock, tonight at 6:30 p.m. Spend the morning relaxing at home; then when cabin fever sets in, head to the Martha’s Vineyard Performing Arts Center at 1 p.m., where the RISE dance group will perform their Season’s Greetings IX: A Dance Extravaganza. The program offers something for everyone, with favorites by Nat King Cole, Peggy Lee, Brian Setzer, Run DMC and Pentatonix, to name a few. The performance has a second showing at 6 p.m.
Barn Buddies is happening at the Ag Hall at 3 p.m. for the little ones. On the way there, stop at Middletown Nursery and help support the West Tisbury School Sixth Grade by purchasing something from their bake sale. Visit the floral shop while you’re there. Or head down to the Black Dog from 3 p.m to 5 p.m. for the Christmas Tree lighting, a visit from Santa, caroling by the Minnesingers, hot cocoa and more. At 4 p.m., the Martha’s Vineyard Children’s Chorus will perform their winter concert at the Old Whaling Church. 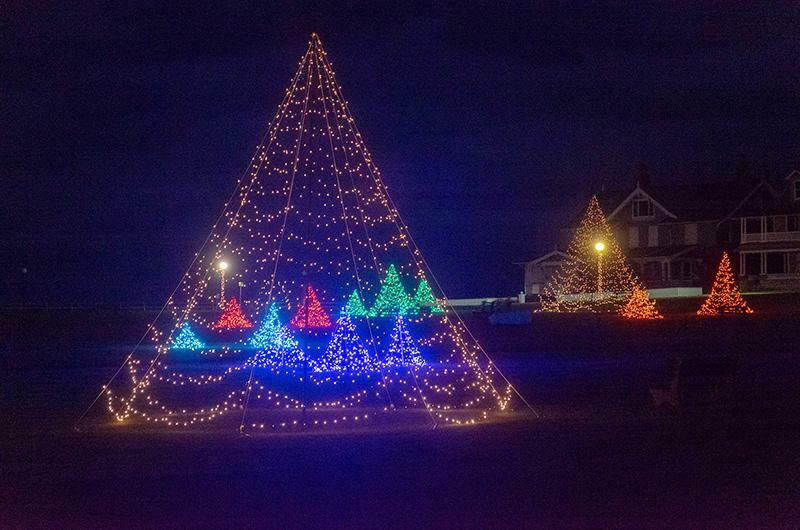 And don’t forget, if you haven’t done it yet, to take a drive around Ocean Park to see the Crosslands Lights Display. Want to receive Island Time by email? 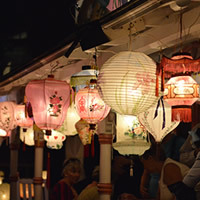 Sign up for our twice-weekly newsletter and find out what’s happening on Martha’s Vineyard.